So Zavvi have put up a bunch of home releases for Alien: Covenant and AC included boxsets. They've got the release date down as the 31st of December 2017. No further details but they've also got a cool looking exclusive steel book cover. Makes me feel stupid for buying the anthology bluray set this year. Just needs the facepalming Space Jockey to be complete! Yeah IGN says late Sept, im definitely looking forward to the 4K version though. 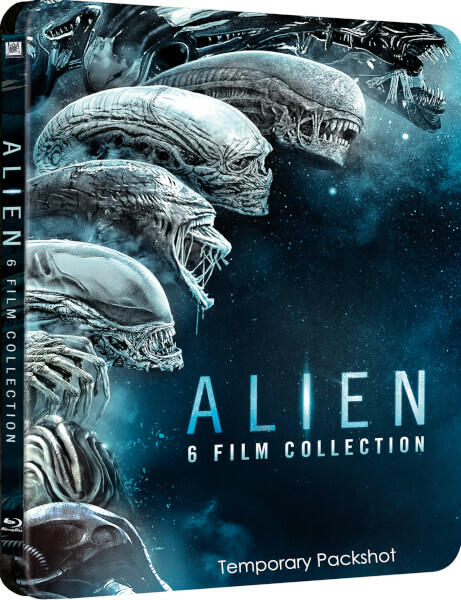 TBH the only thing that could entice me to buy this 6 film boxed set is if there is some crazy amount of new Special Features or an extended cut of PROMETHEUS and/or COVENANT. Otherwise I'll wait for the trilogy to wrap up before buying an all inclusive set. This series has always delievered the goods for the Home Releases. Whats taking so long for an extended cut of Prometheus Scotty!? Same goes for Covenant. We can tell you cut alot out... Psh. The Covenant steelbook is amazing! I'm just dying to know what special features are on this. I don't envy whoever has to step in after CdL. They've got some high expectations to meet. Did he say why he's not doing it? The Alien Covenant Steel book looks nice. The alien anthology set is not worth it. They do this every time a new alien film comes out. In a couple of years a new alien film will be released, thus a new box set will feature that film. Best deal was the exclusive alien anthology set that came with the light up egg. I'm hoping it's not like Prometheus where the Steelbook has basically no special features, then a couple months later they release a Collector's Edition with all the extra stuff. Makes total sense to do a new cut or an alternate one to watch alongside the original,maybe more new cuts of Alien,get rid of Lambert's trainers for god's sakes,AC will have tons of deleted stuff I bet.